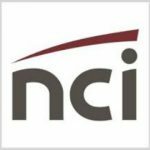 James Bowlin, former technical expert for information assurance policy and risk management at the Space and Naval Warfare Systems Center Atlantic, has joined NCI (Nasdaq: NCIT) as vice president of cybersecurity engineering at the Reston, Virginia-based government technology services contractor. He will manage the company’s enterprise strategy for the cyber market and brings more than 15 years of cybersecurity, software development and system-of-systems integration experience across multiple Defense Department and Department of Veterans Affairs programs to his new position, NCI said Monday. Paul Dillahay, NCI president and CEO, said Bowlin will work with customers to help them address engineering challenges through the use of technology. Bowlin previously served as chief engineer of the Defense Health Agency‘s Defense Medical Information Exchange Program Office where managed various security engineering initiatives as well as provided security guidance to medical data sharing and interoperability efforts there. He worked as the lead security engineer on a Department of Veterans Affairs project that focused on the integration and implementation of an agile information assurance framework for VA’s benefits management system. The certified information systems security professional also held the roles of senior information security analyst at Honeywell‘s (NYSE: HON) technology solutions unit and senior systems security engineer at Halifax.